Heliostats are devices that reflect sunlight onto a predetermined target so that it receives more natural light – even if the sun is not shining directly above it. They have been used to concentrate light in solar power installations and they’re a great way to provide a house with additional daylighting – but rarely have they looked as stylish as this Sunflower Home Heliostat. 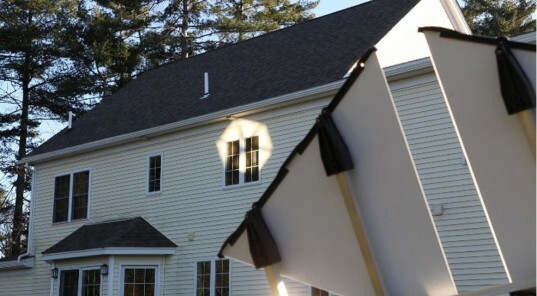 This Sunflower Home Heliostat has been designed to be the first affordable heliostat for the domestic homeowner. Fully powered by solar power, the heliostat shines additional light into your home while tracking tracking the sun over the course of the day. 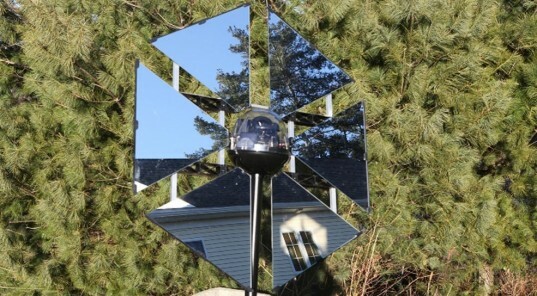 As there are no need for computer or network connections, the SunFlower Heliostat is easy to set-up and low maintenance – according to the company’s website, you only needs a Phillips screwdriver to install one. The Heliostat reflects up to half a square meter of sunlight and provides up to 500 Watts of sun energy (the equivalent of 50 traditional 60-Watt bulbs). That is more than enough sunlight to light up your dreary backroom, warm your house plants or even light and melt an icy walkway. Great idea. If it doesn't already, it should track the moon as well. Heliostats are devices that reflect sunlight onto a predetermined target so that it receives more natural light - even if the sun is not shining directly above it. They have been used to concentrate light in solar power installations and they're a great way to provide a house with additional daylighting - but rarely have they looked as stylish as this Sunflower Home Heliostat.